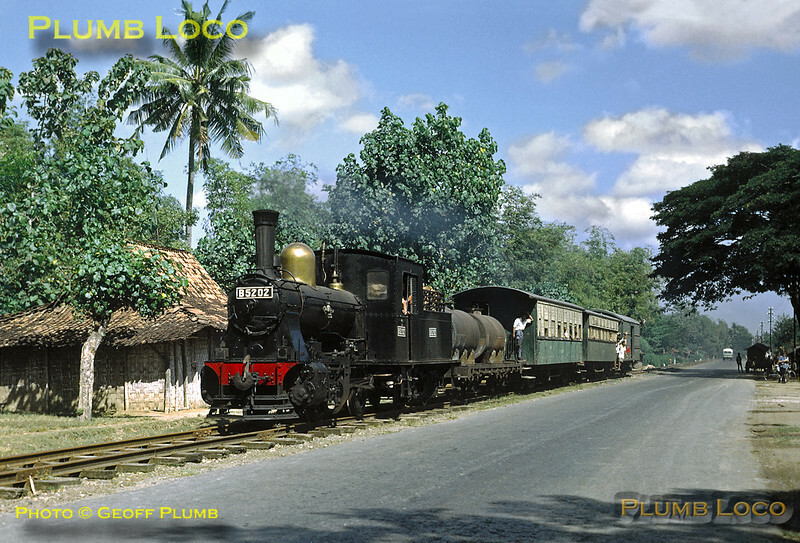 B52 class 0-4-0 No. B52 02 is working the main train of the day, the 07:18 from Kudus to Rembang along the roadside section of the line not far from Rembang, exact location not known. The track can hardly be described as "permanent way"! Monday 23rd July 1973. Slide No. 11676.